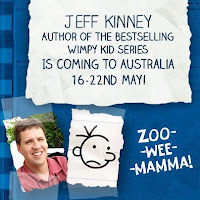 Ulysses Bookstore: Jeff Kinney, Author of "The Diary of a Wimpy Kid", is in Melbourne next week. 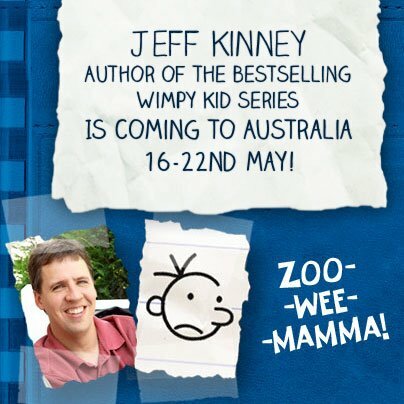 Jeff Kinney, Author of "The Diary of a Wimpy Kid", is in Melbourne next week. Fans of "The Diary of a Wimpy Kid" may know that Jeff Kinney will be in Melbourne next week, and his only public event is on 20th May. Penguin Australia is running a competition to meet Jeff, so if you think that you have a budding writer in the household, get him or her to put pen to paper this weekend as the competition closes on Monday. For more details, click here.